According to the Focus magazine, the Department of Adult and Pediatric Orthopedics, Traumatology at the University Hospital Heidelberg ranks among the top German departments specializing in endoprosthetic joint replacement! The department offers the full range of services in the field of diagnostics and treatment of all diseases of the musculoskeletal system. In addition to surgical treatment, a number of effective conservative treatments are available in the department, for example, physiotherapy, occupational therapy, therapeutic exercise. The highly qualified doctors who have a rich experience and outstanding treatment results take care of the patients' health. The department is headed by Prof. Dr. med. Volker Ewerbeck. 1968 - 1975 Study of Medicine at the Free University of Berlin, the University of Innsbruck, the University of Vienna. February 1975 State examination at the Free University of Berlin. February 1982 Medical Specialist in Surgery. 1984 Assistant Physician, Department of Adult and Pediatric Orthopedics, Traumatology, University Hospital Heidelberg (Head: Prof. Dr. med. H. Cotta). 1987 Appointed as a Senior Physician and Head of the Section of Orthopedic Oncology and Septic Surgery. 13.07.1993 Venia legendi, Orthopedics, Ruprecht Karl University of Heidelberg. 1995 Invitation to the position of C4 Professor, Department of Orthopedics, University Hospital Hamburg-Eppendorf. 1996 Appointed as a C4 Professor, Orthopedics, University of Heidelberg. 04.01.1996 Head of the Department of Adult and Pediatric Orthopedics, Traumatology at the University Hospital Heidelberg. Member of the German Society of Surgery. Member of the European Hip Society. Member of the European Musculoskeletal Oncology Society (EMSOS). 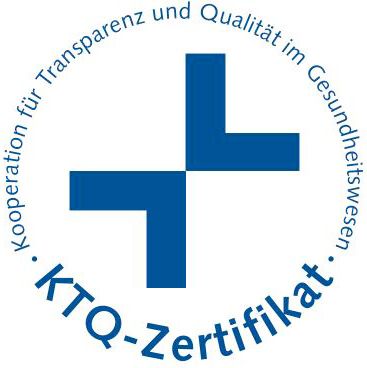 Member of the International Society of Orthopedic Surgery and Traumatology (SICOT). Member of the European Society of Orthopedic Research (EORS). Member of the American Academy of Orthopedic Surgeons (AAOS). Member of the German Academy of Natural Sciences Leopoldina. 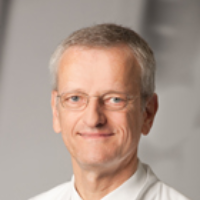 Member of the German Section of the International Working Group on Osteosynthesis (AO). Honorary Member of the Austrian Society of Orthopedics and Orthopedic Surgery. Honorary Member of the Hungarian Society of Orthopedics and Orthopedic Surgery. 1st Chairman of the Association of Leading Orthopedic Surgeons (VLO). 2004 President of the German Society of Orthopedics and Orthopedic Surgery. President of the Working Group on Endoprosthetics. Consultative Council of Surgeons, Cooperative Osteosarcoma Research (COSS). 2008 President of the German Society of Plastic and Reconstructive Surgery. Department of Adult and Pediatric Orthopedics, Traumatology.